This is a well rounded moment. It’s a Saturday, half way through. I’m out of bed after a week of fever. It’s true no matter how old fashioned that sounds. The day is the color of wet cement with high winds and rain. But I am safe and sound because I’ve got Kevin. 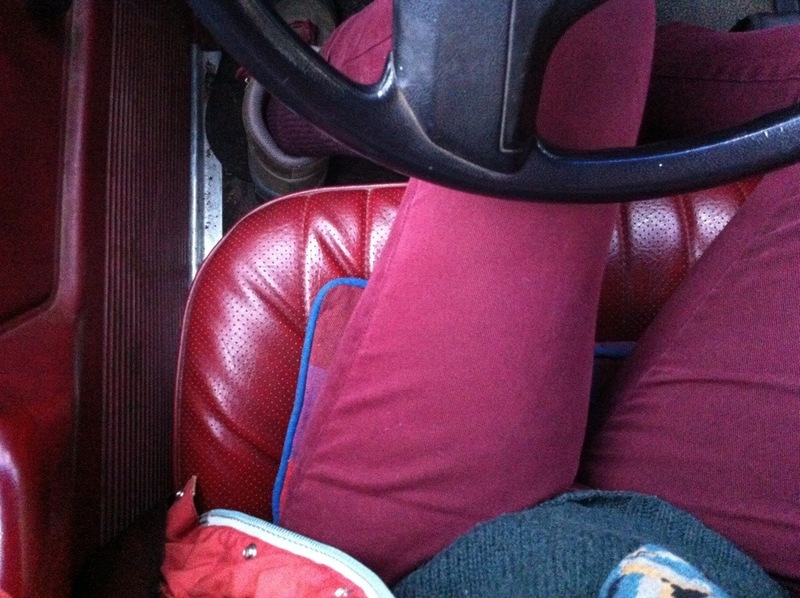 We both wore burgundy for the drive to the hardware store. The Grateful Dead marathon continues even though the errand has ended and so I ask Kevin to keep er’ playin for a bit longer before I go back inside. Guys, Kevin is the new Bello. Or at least he’s doing a damn good job trying to be. i like your burgundy pants.